Reality TV winner turned certified Country Superstar! Hold onto your Stetsons ladies and gents, Country music heartthrob Chris Young is headed out on tour and bringing along his megawatt smile. 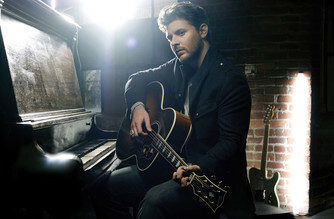 The crooner brings a touch of romance to his modern take on the classic genre, so it's easy to understand why he won the reality TV show/competition Nashville Star in 2006, winning over (predominantly female) audiences with an effortless charm and a rich, deep vocal tone. About San Francisco Theater: We are an independent show guide not a venue or show. We sell primary, discount and resale tickets and prices may be above or below face value. Sound good to you? Share this page on social media and let your friends know about Chris Young at Shoreline Amphitheatre. 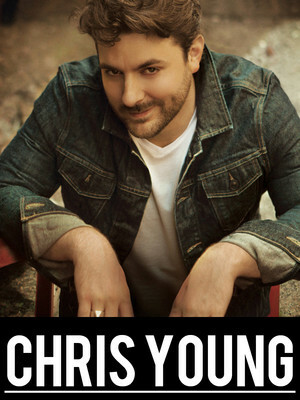 Please note: The term Shoreline Amphitheatre and/or Chris Young as well as all associated graphics, logos, and/or other trademarks, tradenames or copyrights are the property of the Shoreline Amphitheatre and/or Chris Young and are used herein for factual descriptive purposes only. We are in no way associated with or authorized by the Shoreline Amphitheatre and/or Chris Young and neither that entity nor any of its affiliates have licensed or endorsed us to sell tickets, goods and or services in conjunction with their events.